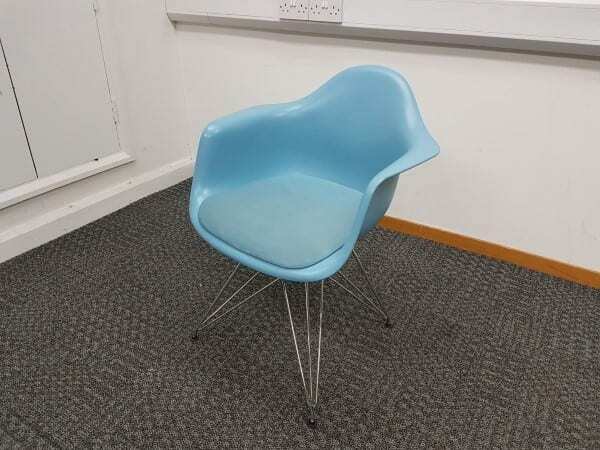 Welcome to Second User Furniture, we currently have fourteen Vitra Dar Eiffel Chairs available in either sky blue or green available for sale and you can view these products in more detail by clicking on the images shown at the top of this page. These products would be suitable for your breakout/reception areas. If you would like to find out some further information about these products, including estimated cost and delivery options, you can get in contact with our sales team, Monday to Friday, between the hours of 9am to 5pm, by calling 07944 508282. 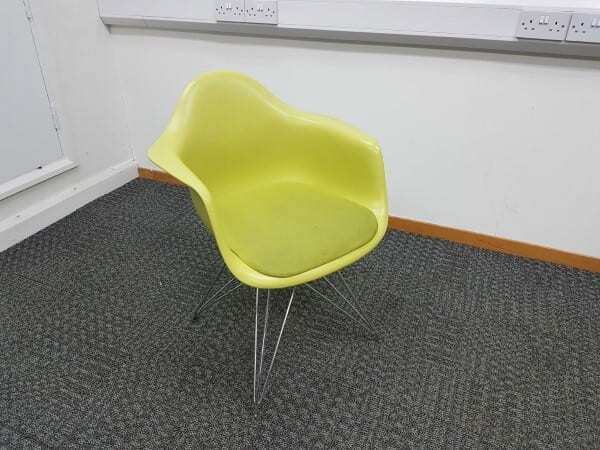 If these products were not quite what you were looking for, we do have a wide range of Second Hand Reception Chairs and Second Hand Cafe Breakout Seating currently available in stock at the moment and you can view all of these products by clicking on the links that have been provided in this paragraph. 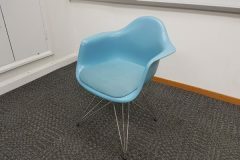 Used Vitra Dar Eiffel Chairs. Chrome Base and Padded Seat. Available in Sky Blue or Lime Green.